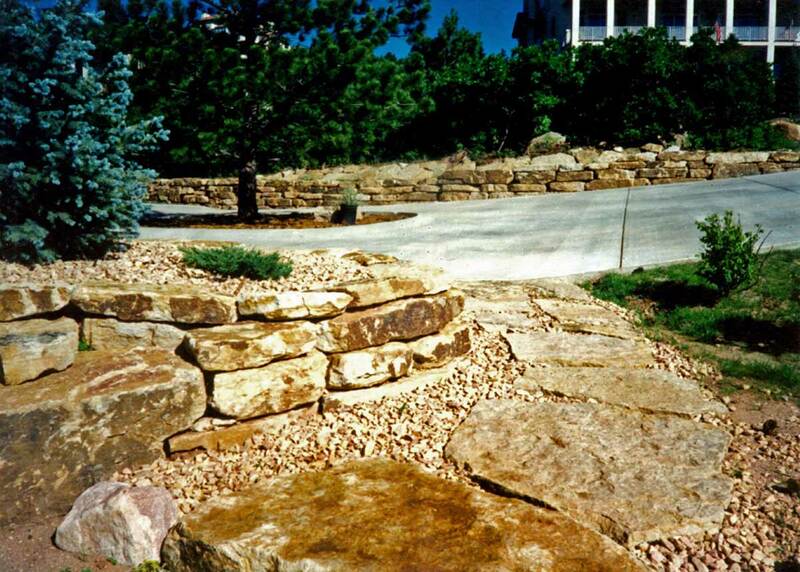 Siloam sedimentary-layered sandstone is ideal for walkways and patios. Available in sizes you can set by hand or large one piece or multiple piece patio slabs are viable options for your walkway or patio project. The earth tone colors and slip resistant texture provide a limitless amount of design possibilities for creating an elegant walkway or a beautiful patio for your outdoor paradise. Siloam Stone is well known for its building stone integrity under extreme conditions. Our stone has been tested under ASTM Standards and, of course, actual extreme environmental applications to verify durability and reliability under severe freeze/thaw conditions. 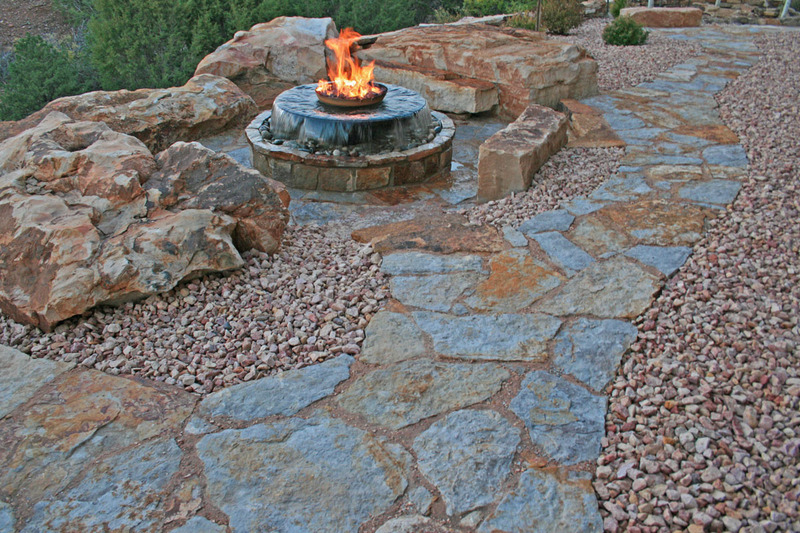 So, not only will Siloam Stone allow you to create whatever walkway or patio you envision, you will also have the assurance that the stone will endure for many, many years to come. 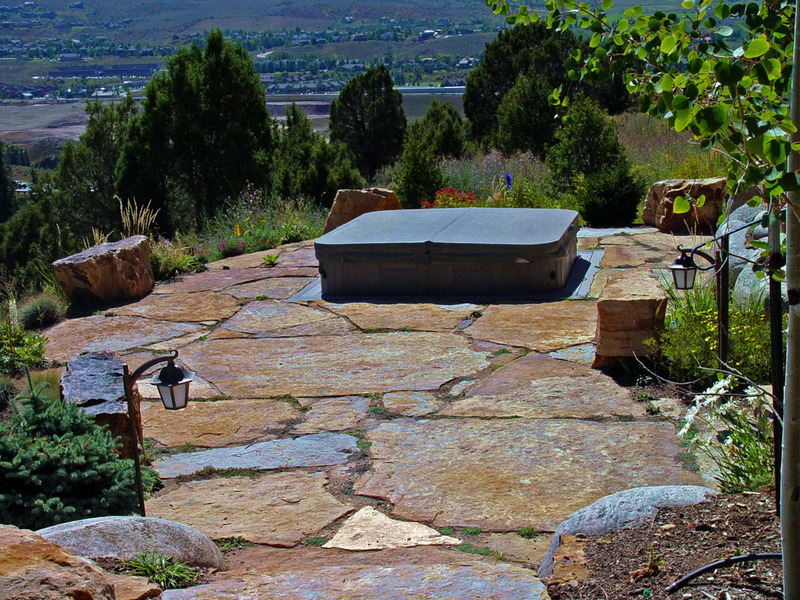 Large Patio Slabs were used to create a dramatic patio for a residence in Avon, CO, including a hot tub and Siloam Bench Blocks for informal seating. 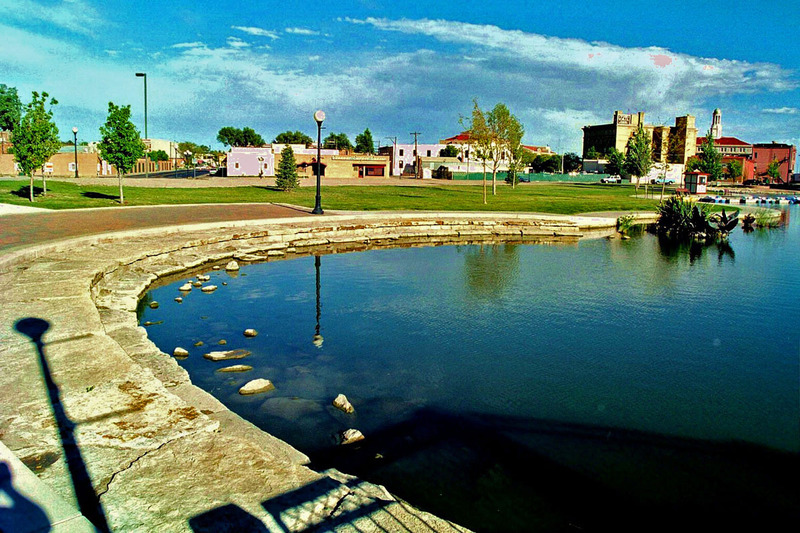 A scenic pedestrian walkway alongside Lake Elizabeth was designed using Chopped Walkway Slabs for the Historic Arkansas River Project (HARP) in Pueblo, CO. Homeowner Gary Peterson designed and installed his own backyard retreat using Siloam Walkway/Patio Stone, Cinnamon Shadow Boulders and Bench Blocks. 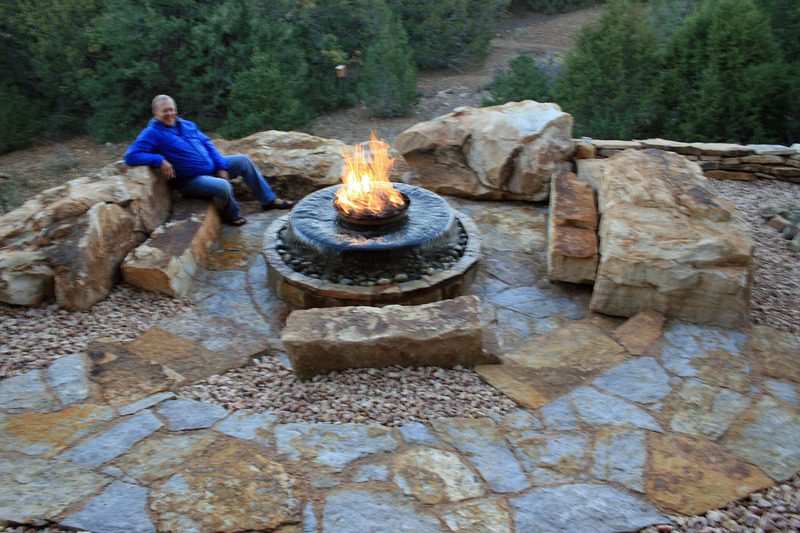 He created a unique patio sanctuary including its own floating fire pit. He, indeed, used his own imagination and skill to utilize Siloam Stone’s beauty into a gorgeous reality. Description: Natural Large Patio Slabs, Cinnamon Shadow Quarry Boulders, Natural Bench Slabs. Residence: Edwards, CO. Design and Installation: Landscape Technology Group, Inc., Avon, CO.
HARP – Historic Arkansas River Project, Pueblo, CO. Design: Design Studios West, Denver, CO. Installation: Rock and Company, Brighton, CO. 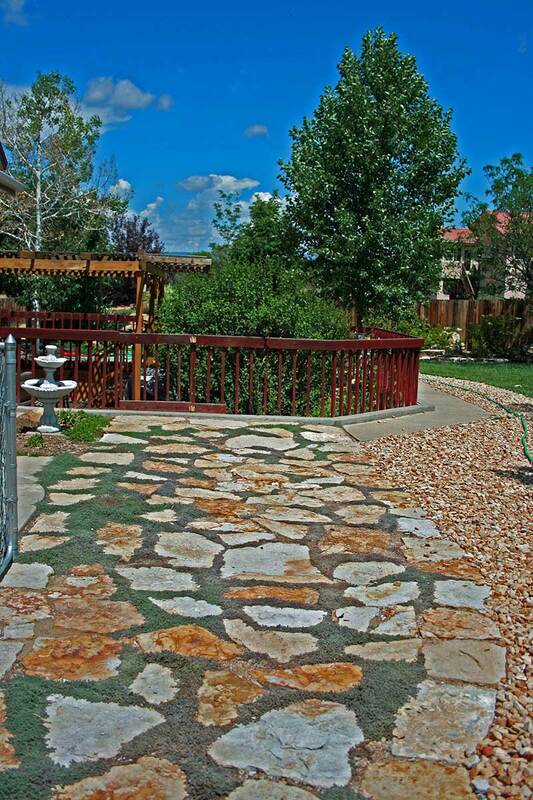 Description: Siloam Walkway Stone and Patio Stone, Cinnamon Shadow Boulders and Bench Blocks. Peterson Residence: Homeowner Gary Peterson designed and installed this backyard retreat. Description: Natural Patio Stone, Natural Full Thickness Veneer. 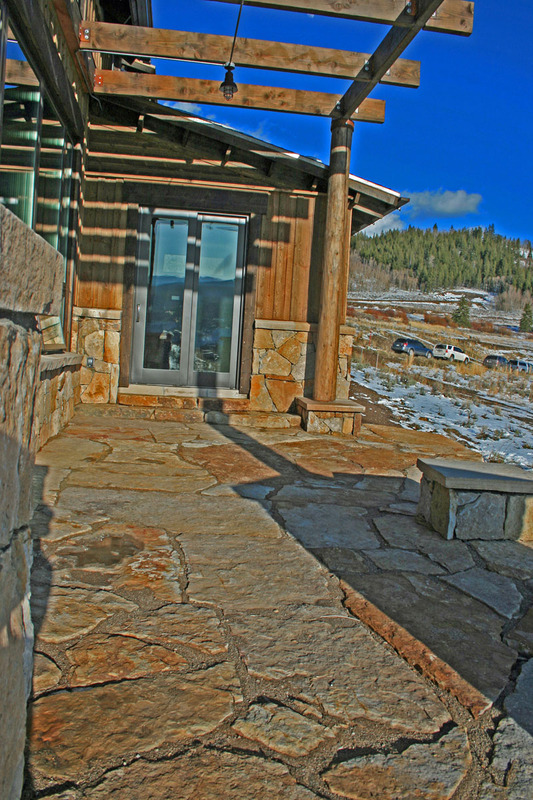 Residence: Silverthorne, CO. Design: Architect David A. Beal & Assoc., Boulder, CO. General Contractor: Apex Mountain Homes, Frisco, CO.
Siloam Walkway Stone and Patio Slabs. Siloam Wall Stone on left and in background. 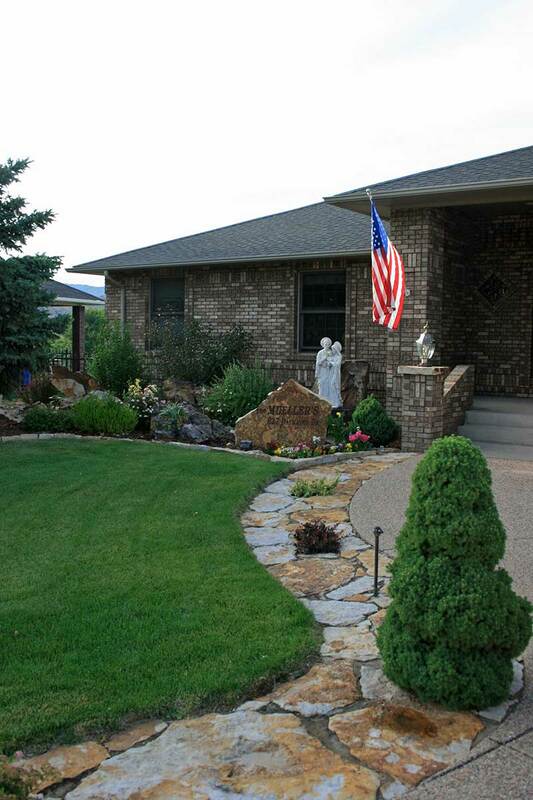 Residence: Cedar Heights, Colorado Springs, CO. Design and Installation: Lucas Landscaping. Description: Siloam Walkway Stone and Patio Stone. Residence: Canon City, CO. Design and Installation: Homeowner. Description: Siloam Walkway Stone, Patio Stone, and Large Slab. Residence: Canon City, CO. Design and Installation: Matt Mueller, Siloam Stone, Inc.
Siloam Stone is your natural choice for Genuine Stone, high quality Natural Sandstone. For landscape applications Siloam Stone has virtually no limitations. 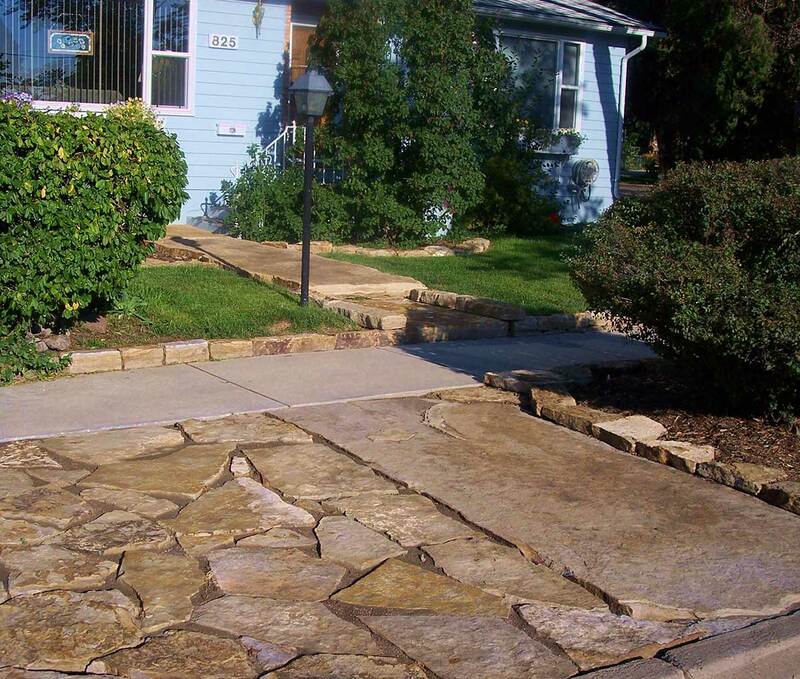 We offer flagstone for walkways and patios as well as thicker stair treads for your entry or stairway. Maybe you need a large sign, bridge slab or landmark to make a monumental statement; we have over 20 thousand tons of product inventory to choose from. © 2018 Siloam Stone, Inc.